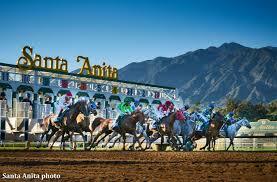 Santa Anita racetrack reopens in Southern California, USA. 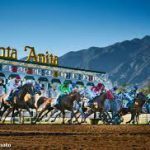 Last week the Southern California race track of Santa Anita reopened after being closed for a full investigation following the abnormally high loss of life which saw 22 horses put to sleep following accidents on the primary or training tracks. Bonusbets.com reports that just two days after the investigations were completed and the track was reopened a 23rd horse met its end during the $100,000 San Simeon Stakes. 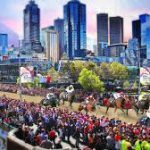 It almost defies belief that 23 horses have now lost their lives in just three months at the track, and despite investigations, each time and then the formal closure for a month, while a more significant enquiry was carried out, nothing has been found that explains why horses are coming to grief on the track. It was Arms Runner who suffered a right front leg injury causing him to fall and later be put down. The race was being run on the turf and is a Grade 3 race. The incident also caused La Sardane who was training behind Arms Runner to fall, but the mare who is now five years old got back up and appeared uninjured. Her jockey did not ride again that day. At the time she was ridden by Ruben Fuentes who is not her usual rider. For some reason, there was a late replacement for Joel Rosario who rides her typically. The injured horse was attended by the track vets and later removed by van. Sadly the injury was fatal, and Peter Miller’s horse was then put out of its suffering. In the career that saw three wins out of 13 starts and earned £125,292 in winnings. Despite the spill, the jockey Martin Pedroza changed horses and rode later on in the days racing. Racing was not suspended and the rest of the day ran to schedule. However, it is going to raise massive questions again over the safety of the track. 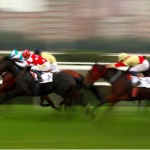 It certainly will not help the reputation of the owners, The Stronach Group. They do not have any specific comment on the latest incident but have introduced an immediate reduction in the amount of Lasix, an anti-bleeding drug that can be used on race day, but it seems unrelated to the incidents. All of the horses that have died have fallen and in the majority of cases on the dirt surface which is the main track. In the latest incident, the horses were crossing the dirt surface as they passed from the hillside turf to the main turf course. The surface has been investigated by a number of independent experts, and no reason can be found, and the track continues to be deemed safe for racing. During the closure which started on the 3rd of March, many different teams were bought in, and track officials have not been able to give any findings or reasoning for the incidents. The loss of life count is so high everyone agrees it cannot be, but as yet the real reason remains a mystery.